Review: This book deals with a lot of issues-cutting, suicide, depression, substance abuse, anger management, homelessness and treatment. It is not a light read-Charlotte has gone through (and continues to struggle with) many horrible situations and issues no one should go through. My heart broke for her, especially when she was released from a treatment facility due to lack of funds. When she befriends an older guy who major problems of his own and starts making bad decision after bad decision, it was a train wreck waiting to happen. If you are looking for a 'happy book' that will make you smile and feel good-avoid this one. 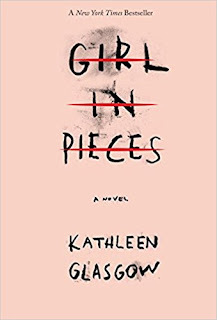 If you are looking for something that is like 'Girl Interrupted' (I found this book to be far superior) with more 'feels' give this book a try.